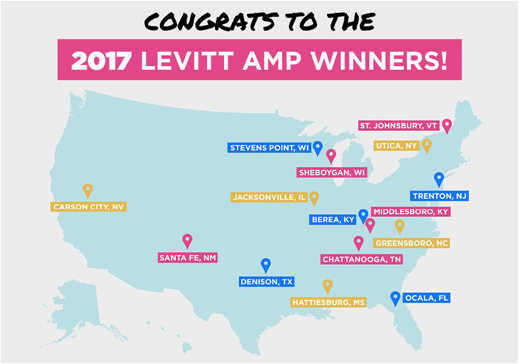 Chattanooga, Tenn. is 1 of 15 cities across America to win a Levitt AMP Grant Award of $25K in matching funds to present a free concert series. 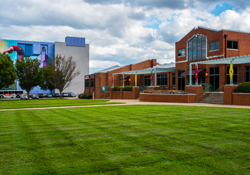 The music series will be held on the lawn of the Bessie Smith Cultural Center in the historic Martin Luther King district, shining a light on its renowned musical heritage while reestablishing it as a thriving cultural destination. Each winner will present 10 free concerts featuring a diverse lineup of high-caliber entertainment in 2017 as part of the Levitt AMP Music Series, for a total of 150 free Levitt AMP concerts. In July, the Levitt Foundation invited nonprofits to submit proposals that would reflect the three goals of the Levitt AMP awards: amplify community pride and the city’s unique character; enrich lives through the power of free, live music; and illustrate the importance of vibrant public places. Nonprofits that received a previous Levitt AMP grant were eligible to reapply. In an effort to inspire and engage communities across the country around the power of creative place-making, the Levitt Foundation opened the selection process to the public to choose the Top 25 Finalists. The Urban League of Greater Chattanooga submitted the Levitt AMP proposal for Chattanooga. Over a three-week period in November, the public voted for their favorite projects. “We are proud of the efforts of our community in helping the city receive this grant and we look forward to enriching the lives of those who come together for this concert series,” said Warren E. Logan, Jr., president & chief executive officer of the Urban League of Greater Chattanooga. The Mortimer & Mimi Levitt Foundation is a private foundation that exists to strengthen the social fabric of America. Through its support of creative placemaking, the Levitt Foundation empowers communities to transform neglected public spaces into welcoming destinations where the power of free, live music brings people together and invigorates community life. The Foundation&apos;s primary funding areas include permanent Levitt venues and the Levitt AMP Grant Awards, an annual grants competition. During the past decade, the Foundation has awarded more than $18 million in grants to support access to free, high caliber live music experiences while bringing new life to underused public spaces. The Levitt network of permanent outdoor music venues and AMP concert sites collectively serves more than half a million people annually through 450+ free, family-friendly concerts in 22 towns and cities. As an example of the high caliber talent presented across the Levitt network, the 2017 GRAMMY nominees includes 25 artists who have performed on Levitt stages in recent years. Permanent Levitt venues are located in cities as diverse as Los Angeles and Pasadena, Calif.; Westport, Conn.; Bethlehem, Pa.; Memphis, Tenn.; and Arlington, Texas. Each permanent Levitt venue is programmed, managed and supported by its own 501(c)(3) Friends of Levitt nonprofit organization, presenting 50+ free concerts every year featuring acclaimed, emerging talent to seasoned, award-winning performers in all music genres. Due to accelerating interest from cities and engaged citizens, the permanent Levitt venue program is growing. Developing Levitt locations across the country include Denver (opening 2017), Dayton (opening 2018), Sioux Falls (opening 2019), and Houston (opening 2020), amongst other cities.